Click here to view our Shalach Manot page thanking all our generous vendors who supported SHJC this Purim! Click here to help support the Sisterhood without spending extra money by purchasing Gift Cards to your favorite supermarkets or retail stores or click here to email giftcards@shjc.org. The SHJC Sisterhood is active and very involved in many areas of Synagogue life. Whether efforts are going toward providing holiday celebrations for students in our Religious school, presenting meaningful and varied Judaic (and other) courses of study, or planning entertaining and informative programming, this vital and exciting group of women contribute greatly and provide a wonderful tradition of service to our congregation. Sisterhood coordinates several worthwhile tzedakah projects, including Pick a Dreidel, donating food to local food banks, and providing help to outside organizations as needed. Supporting every special event we have in our congregation! 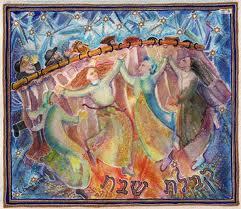 The SHJC Sisterhood is a proud member of the BQLI Region of the Women’s League for Conservative Judaism.